OK, right off the bat I have to admit that I'm still in a state of semi-shock over the whole RITA® Finalist thing. When Casey asked me to visit The Writers Alley and share what aspects of my writing I thought pushed my manuscript to the top of the RITA pile, my first reaction was – How can I possibly know? Contest judging is so subjective. The more I thought about it, however, the more I realized that even though I haven't received any feedback from the RITA judges, I have received feedback from other judges—readers. So the tips you'll find here today, are based on what I have gleaned from the comments of readers and reviewers. Characters impact readers more than plot. "What amazing characters... I loved Jericho and Hannah. It was as if they were real people." "Her characters live and breathe, not only within the pages but long after the cover is closed." "Her characters were flawed in ways that made them endearing and gave you a vested interest in their individual quests for happiness and fulfillment." My goal in designing main characters is twofold: have every woman who reads my story fall in love with the hero, and have every female reader wish to be the heroine. In order for me to accomplish this, as an author, I need to do exactly the same—fall in love with my hero and live vicariously through my heroine. If the characters aren't real to me, they won't be real to the reader either. So what makes them real? • Use Deep POV- Spend time in the character's head. Express his thoughts directly using language that matches his personality. Show his reactions and emotions instead of explaining them to the reader. Give him a distinct narrative voice. • Use Contrast – My hero is a grouchy, set-in-his-ways livery owner, but that crusty exterior hides a soft heart that leads him to perform acts of kindness when no one is looking. His words might sound arrogant, but his actions show his inner goodness. • Give them flaws to make them real. Give them quirks to make them unique. Give them noble motivations to make them likeable – Hannah was living her dream of opening her own dress shop but she struggled with her lack of business savvy when customers were scarce. Her quirk – she's a 19th century fitness maven with a daily exercise regimen that most folks scoffed at. As for motivation, she wanted to have a successful shop, but not at the cost of being a stumbling block to others. Her ultimate aim was to use the gifts God had given her to serve her community not simply to support herself by making a good living. Giving her a more noble motivation increased her likeability even when her stubbornness and pride led her into trouble. 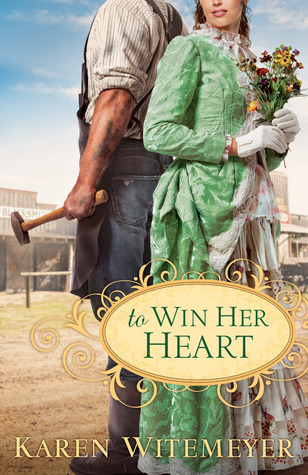 • Have well-developed secondary characters – Many readers have asked me about turning A Tailor-Made Bride into a series because they found themselves so attached to the town and its characters that they wanted more. What a fabulous compliment! Even though secondary characters don't have their own POV, make them memorable and real to the reader. Make them quirky and fun, or have them tug on the reader's heartstrings. Use them to open the eyes of your main character when he/she is struggling to come to grips with a specific truth. But remember, their purpose is to enhance the story of the hero and heroine, not to steal the show. • Use dialog as a romance tool – Witty dialog is something I greatly admire in novels and strive to incorporate in my own. My favorite way to use it is between the hero and heroine as they fight against their attraction. Let them tease, flirt, and spar with each other as a way to build romantic tension. Sometimes having a character be audaciously honest can be a delightful surprise. One of my favorite scenes from A Tailor-Made Bride uses this technique. Hannah has learned Jericho's true name and is teasing him with it. He prowled forward, jaw clenched so hard, his facial muscles ticked. "The name's J.T." "No," she said, tapping her chin as if pondering some great mystery. "Those are initials. Your name is Jericho." Wiggling his fingers to keep them from curling into fists, J.T. reminded himself that she was a woman. "Are you purposely trying to rile me?" His voice rumbled with menace, warning her against such a dangerous path. An all-too-innocent smile stretched across her face. "Why, yes. Yes, I am. Is it working?" "Besides a beautiful romance, this story has take-home value in it that made me stop and reflect…The characters grew not only as individual people, and as a couple, but as children of God as well. ""…you will also find the Lord's "thumbprint" on every page. Her words ministered to my spirit in such a deep, penetrating way." "…while the book is highly readable and enjoyable, it is also thought-provoking. I found myself pausing time and again to reflect on my own life, particularly as it relates to God's purpose for me." • More than skin deep - On the surface, the key spiritual message of A Tailor-made Bride seems to entail the issue of beauty vs. vanity. However, if you look deeper, you'll see that the true message is about balance, unity, and opening yourself to God's truth even when it goes against long-held beliefs based on personal experience. • Complicate things - Another aspect that I believe made my theme unique was that I allowed both characters to be right. Both had a biblical foundation to back up their position, and as I wrote their story, I found myself agreeing with both sides. The true issue is not who is right and who is wrong. The true issue is how can we treat each other with love, even when we disagree? And can we set our dogmatism aside long enough to see if there is any truth to be gained by pondering the opposite perspective? • Sprinkle other spiritual truths throughout the story in addition to the main theme – In real life, we rarely deal with one issue at a time. So in addition to the beauty-vanity theme, I also sprinkled in thoughts about running a business as a person of faith, using gifts to serve others even when the service goes unnoticed, and reaching out to the outcasts among us. Remember, however, that story rules. Never incorporate a spiritual thread simply to teach your readers a truth. Everything has to spring naturally from the characters and the plot, otherwise it will come across as preachy. So when you think about your favorite books, the ones that linger in your mind long after the last page is turned, what is it about them that impacted you most? If you were a RITA judge, what would you be looking for? I loved the description, "My hero is a grouchy, set-in-his-ways livery owner" because it immediately brought an image of the character to mind. Instantly, you visualise a man in a worn cowboy hat and dusty jeans. A scowl etched in his handsome features. This is what I would look for... 'instant gratification'! Characters that are distinguished without a lick of colour. The other key element, I agree, is the 'quirk' of a character, which leaves a lasting impression. Something memorable. When you close the cover and carry on with the daily routine, you smile to yourself when someone says or does something that reminds you of that quirky character. 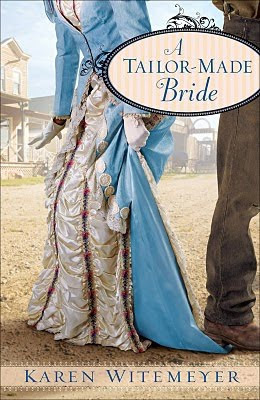 How fun to read this post today since I just finished reading "Tailor-Made Bride." I saw it on the list of Rita finalists and downloaded it to my Kindle. One of my favorite parts: How Hannah called J.T. by his given name-Jericho--to make him mad. And then when she fell in love with him, she changed her mind and tried to call him J.T.--and he didn't want her too! There was a spiritual and emotional significance to him allowing her to use his real name. And I liked how you showed them both struggling with their beliefs--realizing there were two sides to the argument, and both had weight. I'll be recommending "Tailor-Made Bride" to my friends. LOVED your book and can't wait to get a hold of your second and third! One incident that really stood out for me with Hannah was the way she befriended the the old man who had lost his wife and was shunned by the town because he refused to bathe. The fact that Hannah overlooked his 'smell' and helped him anyway was a lovely act which showed her amazing character. Thanks for sharing your tips and best of luck in the RITA! I love your characters, Karen. They are memorable. I've read both A Tailor-Made Bride and Head in the Clouds and can vividly recall the hero and heroine of both stories. I enjoyed spending time with them because they're likable, flawed, real people who capture a reader's heart. I wish you well in the RITA and will cheering for you in NYC. I love this post! I hadn't thought of spiritual layering in that way. I agree for me characters are more important than plot. My only disappointment is having 8 books I need to read before I can pick this one up because now I'm really looking forward to it. PRINCE, Karen's descriptions are always dead on and I love reading her books. I agree on quirks. They make a lasting impression (if done right) on the reader. How fun to read all your comments! You ladies are such an encouragement to me. Prince - I'm so glad you like the description of my hero. Sometimes people get turned off with the descriptor "grouchy" but Jericho's soft heart more than makes up for the crusty exterior. Beth - So glad you enjoyed T-MB. And thanks for spreading the word to your friends! If you are interested there is an epilogue posted on my website. I always enjoy lingering over the happily ever after, so if you want a little more of Hannah and Jericho's story, you can find the link to it on my books page. Enjoy! 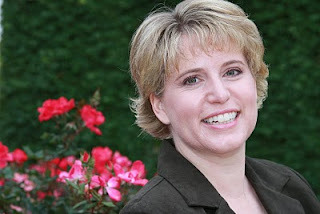 Susan - Deep POV is one of the trickiest aspects of the writing craft to master. I still have to check myself constantly with this one. But I believe it makes the biggest difference when it comes to a reader truly experiencing the story and not just listening to the characters tell it. Julia - Good characters really make the difference, don't they? And boy, can I relate to having a TBR pile that is growing out of control. Occupational hazard. Thanks for stopping by. I hope you all have a fabulous week! JULIA, you will really love ATMB when you get to it. Karen is a new favorite author of mine and neither of her first two books disappointed. Can't wait for the third! Wow, This is a power-packed fiction class in one post! My favorite takeaway is when you talked about falling in love with your hero and living vicariously through your heroine so the reader does too. Never thought about that before, but it will change the way I write. Oh what a wonderful post!! Thanks for being here, Karen. I'm sorry I'm late to the party but I just got home from work about an hour ago. Case, thanks for bringing Karen to the Alley. And characters totally drive the story. I just finished reading Nancy Mosers book "How Do I Love Thee?" Hi, Pepper. Thanks for stopping by and leaving a comment. I'm so glad you enjoyed the post. Nancy Moser is a wonderful author, isn't she? I've read a lot of her devotionals and have always been impressed with her spiritual insight and willingness to be vulnerable. Great lady!